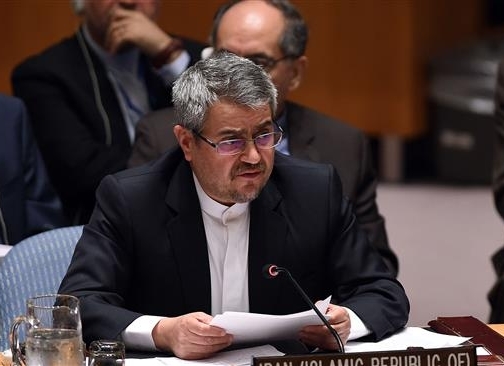 Iran's Ambassador to the United Nations Gholam-ali Khoshroo said if the US wishes to remain credible in future multilateral negotiations, it cannot attempt to scuttle the JCPOA. “If the United States wants to remain credible in future multilateral negotiations, it cannot go against the international consensus and attempt to scuttle past diplomacy whether as political retaliation against a previous administration, or as part of a constant reassessment of American national interests,” said Khoshroo in an OP-ED published in The New York Times on Sunday, presstv.com reported. The deal, known as Joint Comprehensive Plan of Action (JCPOA), was struck in July 2015 and began being implemented in January the next year. Apart from Iran and the US, the other parties to the agreement are France, Russia, Germany, China, and the UK. US President Donald Trump has long despised the deal in part because he perceived it as a legacy of Democratic former President Barack Obama. Since taking office a year after the deal took effect, the Trump administration has twice certified Iranian compliance under the specific American law that Secretary of State Rex Tillerson is now reportedly planning to amend. Those two certifications have been offered only half-heartedly, and indications are that a third one — due shortly in mid-October — may not be forthcoming. He also noted that these certifications are not required by the deal itself, which stipulates the International Atomic Energy Agency is responsible for verifying Tehran’s compliance. “The United States Congress introduced the idea of the White House certification in 2015. In short, it is a domestic American issue, though one that could potentially affect implementation of American commitments under the nuclear deal,” he stressed. The head of the International Atomic Energy Agency (IAEA) has rejected criticism that the organization under his watch is being ‘too soft’ on Iran. Khoshroo also noted that Trump is under several false assumptions cornering the JCPOA, the first being that it is a bilateral agreement between the US and Iran. “It is, instead, a United Nations Security Council resolution …this explains why the deal continues to have wide support from the other Security Council members." Khoshroo went on to argue that the second false assumption is aimed at dictating Tehran’s policies concerning matters not related to its nuclear program. “This has never been the case. It was always clear that the path to reaching a nuclear deal meant setting aside other geopolitical concerns. Anyone involved in the years of talks that led to the JCPOA can attest to this,” he added. Iran’s UN representative added that Trump’s third false assumption is the presence of a ‘sunset clause’ in JCPOA, which pertains to Iran being free of inspections or limits on its nuclear program after decade. “While it’s true that some provisions regarding restrictions will expire, crucial aspects of inspections will not,” wrote Khoshroo.